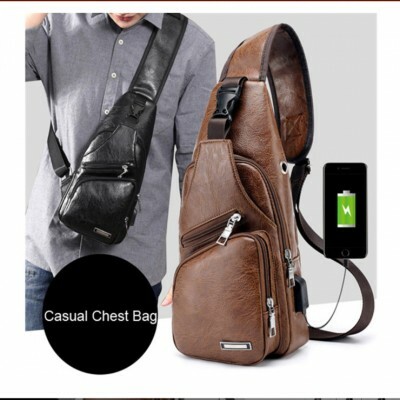 Product Name: Sling Bag Men Chest Shoulder Backpack / Crossbody Bag with USB Charging Port for Women Hiking, Cycling, Camping Daypacks. 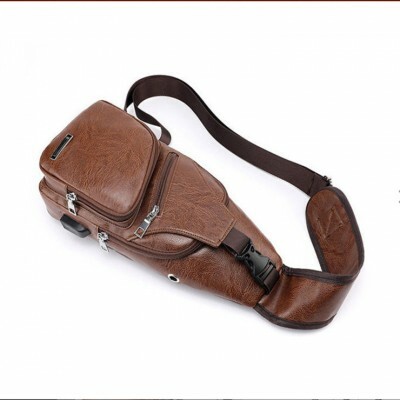 Features - MATERIAL: hiking sing bag is made of sturdy and durable oxford and polyester lining. Good construction and lightweight, versatile, strong and sturdy daypack. 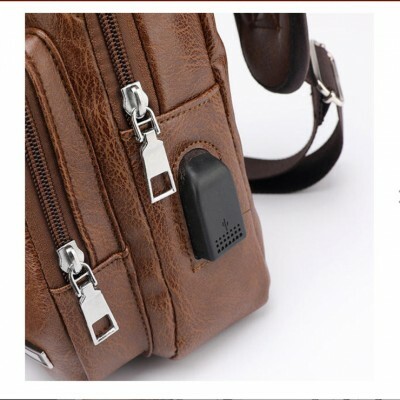 EXTERNAL USB INTERFACE: Enjoy the music and give you full power anytime and anywhere with unique USB charging port and the headset hole, you can charge your phone, tablet, iPad and other devices without opening the Crossbody Chest Backpack easily and conveniently. MULTI-COMPARTMENT: 1. front pocket with a magnetic button and-2. large zippered compartments with small inner pouches to store and organize your things safely, like Kindle, IPAD mini, camera, umbrella, passport, purse, keys, small snacks, MP3, power bank, notebook, water bottle, and so on. 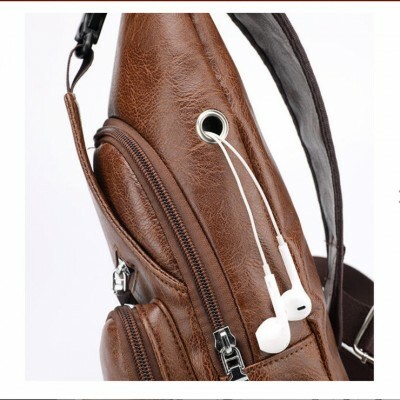 1. front small zippered pocket can hold things such as phone, business cards, cash and change. 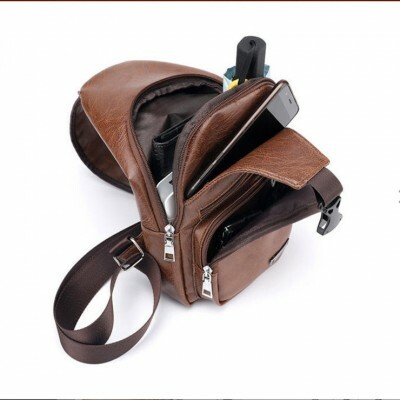 - Designed for comfort: The bag can be used both as chest pack and shoulder bag, messenger bag, travel bag, Satchel strap is adjustable, fit both regular and plus-size person. It can keep your hands free. - Product features: External USB charging port for your electronic device. The lightweight bag hanging on your shoulder without feelings.